On 16 July 1996, the Polish Patent Office refused to grant the right of protection for the figurative trade mark DVORAK IR-639197. On 27 August 2003, the PPO upheld its decision and ruled that the sign in question is similar to two figurative trade marks R-79913 and R-80064 that were registered with an earlier priority for POLMOS S.A., and it violates the rights of third party, by using elements that are incorporated in earlier registered industrial designs Rp-1 and Rp-2 that are also owned by POLMOS. The Supreme Administrative Court in its judgment of 18 January 2007 case file II GSK 206/06 held that the registration of a trade mark whose description largely overlaps with the description of the industrial design that was previously registered to another company, without its permission, is a violation of the rights from the registration of industrial designs and meet the grounds for refusal of registration of the mark because it infringes the personal or economic rights of third parties. See also “Polish regulations on industrial designs” and “Polish case law on industrial designs“. Categories: 3D trade mark | Art. 8(1) TMA | Art. 8(2) TMA | Art. 9(1)(i) TMA | industrial designs | infringement of registered industrial design | invalidation of a right in registration | non-traditional trade marks | Polish Act on Trade marks | Polish Supreme Administrative Court | product packaging | trade mark refusal | trademark law | Voivodeship Administrative Court. The Voivodeship Administrative Court in Warsaw in its judgment of 3 October 2010 case file VI SA/Wa 1339/10 held that the “identicality” as understood in the definition of a novelty of an industrial design is not consistent with the meaning of the word “identical”, which means that the compared designs should be the same. Identical industrial design also means a design that differs only in unimportant differences. Thus it becomes necessary to identify the different elements and determine whether the observed differences are significant because only differences in the essential features will allow for the recognition of the novelty. 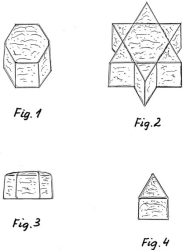 In the three-dimensional designs, with the most specific form of the product and such a design was the issue of this case, the change to have an essential character may relate to each element of which is the essence of a particular three-dimensional form. This judgment concerned the industrial design “Chleb” (in English: bread), Rp-6063. The judgment is not yet final. A cassation complaint may be filed to the Supreme Administrative Court. See also “Polish regulations on industrial designs” and “Polish case law on industrial designs“. Categories: appearance of the whole or a part of a product | Art. 103 IPL | industrial designs | infringement of registered industrial design | invalidation of a right in registration | Polish Act on Industrial Property Law | Voivodeship Administrative Court. The Voivodeship Administrative Court in Warsaw in its judgment of 19 May 2010 case file VI SA/Wa 2026/09 held that for the purposes of assessing the probative value of the document, the reliability and accuracy of the information contained therein should be first examined. In this regard, in particular, the PPO should take into account the origin of the document, the circumstances of its preparation, its recipient, and then ask a question whether, given its content, it seems sensible and reliable. 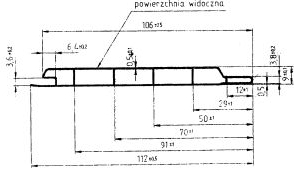 This judgment concerned the industrial design “Panel perforowany” (in English: perforated panel), Rp-8329. See also “Polish regulations on industrial designs” and “Polish case law on industrial designs“. Categories: Art. 102 IPL | Art. 103 IPL | Art. 107 §3 APC | Art. 7 APC | Art. 77 APC | industrial designs | infringement of registered industrial design | invalidation of a right in registration | novelty of an industrial design | Polish Act on Industrial Property Law | Polish Administrative Proceedings Code | Voivodeship Administrative Court.